Sometimes there are scenario where we need to add custom UDF(User defined field) on user form as per client needs.Please see below the steps for the same. 1) Log in to oim using "http://<host_name>:<port_no>/sysadmin" and provide the required user name and password. 2) Click on sandboxes at right corner and give it suitable name and click on save and close as shown in following figure. 3) Click on User under System Entities. As shown in figure below. 4) It will open Manage User tab on right side. Click on create and select field type as Text and click Ok as shown in figure below. 5) Give the Display Label as per your choice. Here it is TestNew. 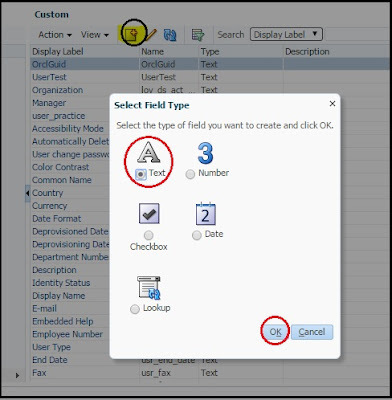 Leave rest of the fields as it is and click save and close as shown in figure below. 6) On the Manage User you can see the new field we have created as shown in figure below. 7) Select the sandbox you have created at step 2 and published it. 8) Log in to oim using "http://<host_name>:<port_no>/oim" and provide the username and password. 9) Create and activate the sandbox as you did in step 2. 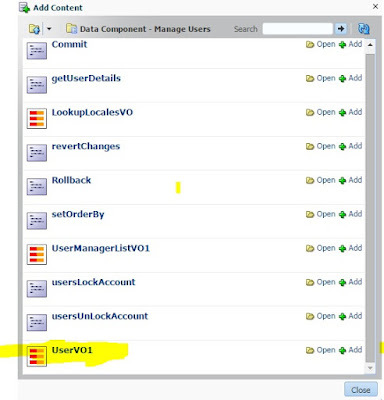 10) Click on Users tab under Administration. A new window will open on the right side. Click on Create as shown in figure below. 11) Fill all the mandatory fields. Click on customize at top right corner. Select source from view as shown in figure below. 12) Click on right corner of Basic information. It will select Basic Information panel and new window will come. Click on edit as shown in figure below. 13) Now click Add Content button. 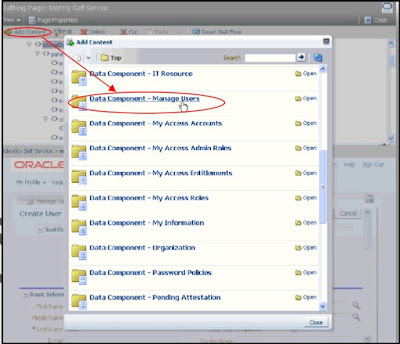 Scroll, search, and click Data Component - Manage Users Link as shown in figure below. 14) Scroll Down and search for UserVO1 Component. Click it as shown in figure. 15) After clicking a new wizard will get appear , scroll deep down and search for TestNew text box component. Click on the add button on left and select ADF Input Text W/ Label. 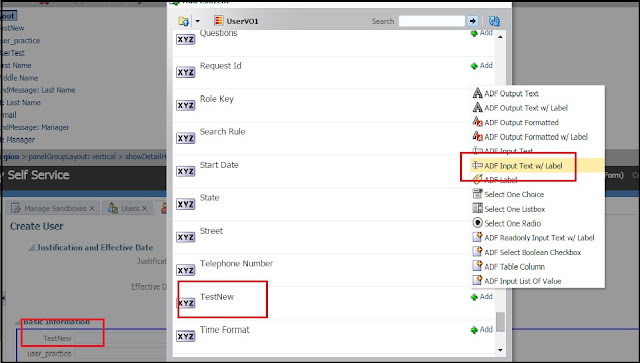 You can observer that a new Field is automatically appears in User Form in Basic Information Area as shown in figure below. Close Wizard. Also click close at top right corner and publish the sandbox. 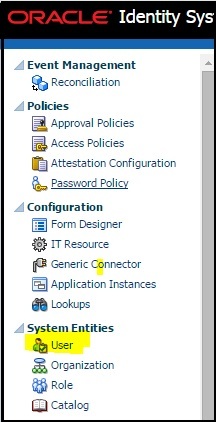 16) Create new user and check whether you see the new custom field or not as shown in figure below. 17) In this way we have added custom field to user form.